What is your current job role and what does this position involve? My current role is Visiting Assistant Professor and Director of the Forensic Studies & Justice Program at University of South Florida St. Petersburg. The Program teaches forensic investigative techniques and scientific applications in criminal cases, using structured analytic techniques borrowed from the intelligence community to mitigate and reduce bias, and how to improve the criminal justice system and avoid wrongful convictions. I created the Program, teach in it, and conduct research in these areas. How did you come to work in the field of forensic science? I became interested in forensic science through taking anthropology courses for my undergraduate minor; I was originally in International Relations and was going to be a translator (Russian and Japanese). Ultimately, bones made more sense than conjugating irregular Russian verbs and I changed majors. In my Masters work, I was a student of Jay Siegel, who set me on my path to a forensic science career. What would you say has been the highlight of your career to date? Being Director of the Washington, D.C. Department of Forensic Sciences. I structured the new agency, created many of its new policies for independent science, and worked with people who remain my heroes for what they do. During your years working in forensic science, how do you feel the field has changed? I worry that the field has become a bit of a cargo-cult science–we’ve “drunk our own Kool-aid”, as the saying goes. We believe if we SAY something is “scientific”, then it IS scientific. We’ve also come up with some fairly suspect ways of justifying bad or marginal science and these have been accepted by an all-too-willing court system. That is beginning to change, a little, with some good basic research into the fundamentals of our science but we’re still hampered by trying to be the servant of justice instead of a partner in the process. In recent years, concerns over the reliability of some forensic techniques have been raised in the media. What steps do you think we need to be taking to ensure that only scientifically reliable techniques are utilised in legal investigations? First and foremost, forensic agencies need to be independent of law enforcement; that won’t solve everything but it’s a good start to ensure we’re not marginalized. Second, we need to stop worrying about new methods and shore up the ones we’re already using–do they work and, if so, how well? Finally, we have to be better communicators about what we can and cannot say and why. Being pressured by money, time, or politics only gets you shoddy results–just look at any of the latest “forensic failures”. Finally, do you have any words of wisdom for those pursuing a career in forensic science? Be a scientist first; the application to criminal cases can come later. Don’t job hop; keep your first job at least two years and then move up or out. And last, don’t worry about ethics, worry about integrity. Ethics is knowing right from wrong and prisons are full of people who know the difference, they just lacked the integrity to make the right choice. What is your current job role and what does this involve? I’m currently Director of Undergraduate Studies for the forensic science programmes at the University of Kent. The role involves helping to lead the forensic science programs in the School of Physical Sciences. My job is primarily one of teaching and I’m involved in the delivery of modules across all years. Additionally the role involves some administrative responsibilities in order to continue to develop the students’ experience at the University. My ambition is to develop students to the best of their abilities; to share with them the very latest news and events affecting forensic science and, above all to produce good quality graduates with a focus on employability. I hope that some prospective students will consider studying with us in Kent. I make sure that we make the most effective use of social media and have a very active Facebook page which I post to most days. Please try to take a look and perhaps like the page and maybe keep up-to-date with some of the events at home and abroad. The page can be accessed here and I hope you like some of the content. What has been the highlight of your career to date? I suppose it was being made an OBE for services to forensic science in the Queen’s Birthday Honours list of 2008. 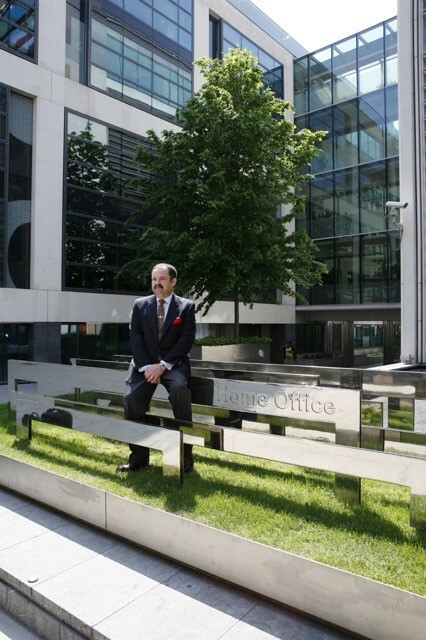 Although the finer detail of honours nominations are not shared with the recipients – I very much suspect it was perhaps for some of the work I lead whilst at the Home Office. This was looking at the so-called cold cases and using the most up-to-date DNA technology to resurrect these cases and bring closure to victims. I think that over 100 or so rapists were convicted by these and other initiatives which gives one a sense of immense satisfaction knowing that justice has been served. At the same time, we were able to develop good practice in this area and share this internationally. Working at the University of Kent provides a fabulous opportunity to share some of the good practices with the forensic scientists of the future. I hope you’ll take a look at our site, accessed here. Additionally I am very proud of my Fellowship of the Chartered Society of Forensic Sciences awarded in 2014. Having moved into academia, I’m particularly pleased we have been able to generate students’ involvement in their professional body and get them engaged from the beginning of their study. For example, at the University of Kent, we’re able to offer free membership of the professional body to all our students from year one all the way through their studies. This helps us to engage with the society and ensure that students are provided the opportunity to attend conferences and develop themselves as their studies progress. I think the block membership idea of engagement has been a highlight of my time on Council for the Chartered Society. Conversely, what have been some of the biggest challenges? Looking back – I think this would hark back to my time working operationally as a Crime Scene Manager. The work was incredibly demanding both in terms of its demands on family/social life and of course the very sensitive nature of the work itself. Please spare a thought for those who work operationally both in the laboratory setting and also at the crime scene. Whilst the work may appear glamorous and appealing – nevertheless it is immensely hard work and of course has to be conducted with immense precision and attention to detail if disasters are to be avoided. Thankfully I survived my operational period without any/too much drama but the saying I always recall was “… you’re only as good as your last job”. In these challenging times – particularly let’s not forget the forensic scientists working tirelessly in the laboratory; seldom gaining recognition but nevertheless absolutely vital to the effectiveness of our criminal justice system. How do you feel the field of forensic science has changed throughout the time you have been involved in it? This must really be the introduction of automated fingerprint databases and of course the DNA database in 1995. Looking back it’s hard to imagine the 1,000 or so crime scenes I examined personally each year and the seemingly low return on the ‘fingerprint investment’. Truthfully – at the end of each year I could honestly count a handful of good quality fingerprint identifications made under the manual system. The advent of automated fingerprint databases absolutely revolutionised this and of course made both volume crime and major crime examinations much more fruitful in terms of fingerprint identifications. Reflectively though, this significant ramp-up in throughput has not always been matched by the detective’s ability to convert these fingerprint identifications into offences that are detected. The volume of fingerprint identifications produced by fingerprint experts often outstrips the ability to ‘action’ these in real time. In this sense, one advancement has led to another challenge. In order to get a sense of the contribution forensic science brings to criminal justice; let’s just reflect for a moment on the NPIA study in (I think) 2009. This study examined murders in England and Wales between the years 2009 and 2010. The findings of this report suggested that the contribution of forensic science was significantly greater than had previously been reported. For example, DNA being used in more than 95% of murder enquiries; fingerprints used in greater than 72% of murder enquiries; footwear used in greater than 35% of murder enquiries. I really hope that the value of forensic science is not undervalued in our current age of shrinking police budgets and austerity. The second of course has to be DNA and the significant advances in sensitivity. Sadly, where we once led the world in DNA technology we now, to some extent, lag behind. For example, only recently the UK has changed to the DNA 17 multiplex; just at the time some others are perhaps moving to more discriminating DNA chemistry. I recall how the early DNA test required DNA around the size of a 50p piece and of course many of the examinations we undertook at the time were not successful. Of course this doesn’t mean to say they cannot be revisited and the case reinvestigated. It’s interesting to reflect that the new DNA test requires around 80 cells which is in the order of 500 pg. of starting material. Perhaps just think of what this means for a moment. If we consider that a single sugar crystal is in the order of 1 milligram (mg). Dividing this by 1,000 would give us a microgram (µg), further dividing by 1,000 to give us a nanogram (ng) and further dividing this by 1,000 gives us a picogram (pg); a far cry from the days of 50p piece. Of course this brings with it other challenges in terms of increased sensitivity and I hope these dramatic improvements will not be marred by poor crime scene practices leading to contaminated results. Looking to the future one can’t fail to be impressed by the new Rapid Hit DNA technology. This self-contained and rapid DNA processing enables profiles to be turned around in around 90 minutes. This will undoubtedly revolutionise the speed at which DNA profiles can be obtained and perhaps enable samples to be searched within the custody time limits. Of course, this speedier DNA process will require matches to be actioned in real time and hence will bring some challenges for the police service. Forensic science provisions in the UK have been under much debate since the closure of the FSS. What do you feel is the greatest issue in forensic science in the UK at present? I’m not entirely sure it’s changed necessarily for the better. Formally I worked at the Forensic Science Service and hence appreciate, with pride, the contribution of all forensic scientists over the years. Accepting the economy of the age and of course without passing any judgement, we might nevertheless want to reflect a moment on this. The Forensic Science Service has been closed and I sense that we will not see the likes of this type of organisation again in the public sector – certainly in my lifetime. What’s done – is done but there is perhaps a concern that the shrinking forensic marketplace may ever increasingly make it less viable for some suppliers of forensic services. Likewise the access and availability to forensic testing from the defence perspective is perhaps a little worrying to say the least. In particular, fibre analysis is often seen as costly/unnecessarily when compared against other forensic science techniques. Nevertheless I can’t help but think we miss two major points here. The first of these is that we should never underestimate the exculpatory value of forensic science from the defence point of view. Depending upon the details of the case – the presence or absence of forensic material may support either the prosecution or defence. One might share some sense of unease that forensic submissions are put together (and of course paid for) primarily by the police service. Without doubt, colleagues in the ‘service’ do an outstanding job – protecting us all and keeping us safe. Nevertheless (as one who has had some responsibility for constructing these cases in the past) I wonder how eager I would have been to have submitted materials to the laboratory which might not be seen to further the prosecution. Without wishing to be alarmist – the current situation might appear far from ideal. Accepting everything which I’ve said already about the tightness of police budgets – nevertheless my sense is that we may be sleepwalking towards a breakdown in the external market for forensic science provision. I feel that the decade may be marked by some significant miscarriages of justice based perhaps not on what is submitted for forensic testing but what isn’t or what is examined inappropriately. Naturally if the items are screened out (from the prosecutions perspective) then they are not submitted right from the very outset. Perhaps my advice to those regulating forensic science might be to look for what is not submitted as much as determining the quality of what is. How do you feel about the amount of research being conducted in forensic fields of work? Previously of course the FSS and others rather took the lead. Whilst there are some rather promising indications that research is continuing I think we have to deal with realities. Forensic providers in the UK may continue to find it difficult to fund research to the level we previously enjoyed. I think it’s unlikely to see them investing to the level previously. There are some green shoots here and there but nothing really which resembles the significant – several million pounds per annum budget we had perhaps become used to. Of course that doesn’t mean to say that research won’t continue both at home and abroad and time will tell I guess. I think two points sum it up. Firstly – be interested and secondly work hard. Try to have your career path mapped out to the best of your ability. I think it’s going to be ever increasingly important for students to have a good idea of what they want to do as early as possible. Not only are universities producing many good graduates each year but also job opportunities may not necessarily appear at once. Try not to be disappointed and pessimistic and keep trying if you want to pursue a career. You may find that you have to take a lesser role in order to get a shoo-in and so perhaps be a little realistic at least in the early days. Having decided what type of career path you are seeking to follow – choose a university course which will help you to get a foot in. For example, those seeking roles in forensic investigation may be drawn more to these types of courses. Those who would seek a more laboratory-based or traditional forensic science role would be best advised to choose a program with a good level of scientific content. Of course, those who seek roles wider afield (for example digital forensics) ought to choose the appropriate course to help them get their foot on the ladder. Don’t underestimate how much you will have to do put into your study. Furthermore please don’t underestimate how hard you will have to work to pursue your ambition. It is achievable and within your grasp if you’re interested and prepared to put in the legwork and prepare for some frustration as you find your first job. Once in your role – work hard, be fascinated by the topic and all will be good. 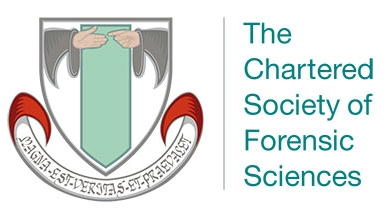 Finally – try to engage with your professional body, namely the Chartered Society of Forensic Sciences. Students gain massively by membership of their society – enabling them to attend conferences, keep abreast of recent events in the profession and perhaps begin to develop a professional understanding of what is happening both in academia and within the mainstream forensic science delivery. Perhaps you might want to begin by taking a look at the webpages and know that you will get far more out than you put in. If you’re a forensic scientist (academic or industry) or a crime scene investigator and would like to be part of this series of interviews, get in touch by emailing locardslabblog[at]gmail.com. This is Part 2 of our series of interviews with forensic professionals. Aspiring forensic scientists are constantly asking questions about the ideal subjects to study at school, the best degree courses out there, how to find work experience and who will give them a job at the end of it all. The field of forensic science has become a popular and competitive one for an assortment of reasons, but there’s surprisingly little advice for students looking to get their foot in the door and seize their dream job. This post is going to offer a few hints and tips that might just be useful for the budding forensic scientist. What to Study? So Many Choices! So you want to work in forensic science. But what qualifications do you need in the first place? Prior to undergraduate study, your choice of subjects can be fairly flexible, though it is advisable that you plan ahead and research the subjects required to gain access to your ideal university. Different universities have different requirements, but most forensic science degrees (and of course chemistry, biology, and any other science subject) will require you to have prior qualifications in chemistry and/or biology and perhaps maths. Even if a particular course doesn’t insist that you have a qualification in maths, any job in science is most likely going to require you to crack out your mathematics skills every now and then, so it’s certainly a subject worth studying. The ideal degree programme is very dependent on the type of job you are looking for and, let’s be honest, there is a certain amount of ambiguity when a person states that they want to work in ‘forensic science’. I find a lot of people who make enquiries are actually envisioning a very ‘CSI-style’ job involving scene of crime management and investigation. If this is what you have in mind, this is a whole other career path that I’m not going to talk about here. If, however, you’re envisioning a more laboratory-based role, you have a lot of options with what to study. There are many specific forensic science degrees available, the content of which can vary wildly. 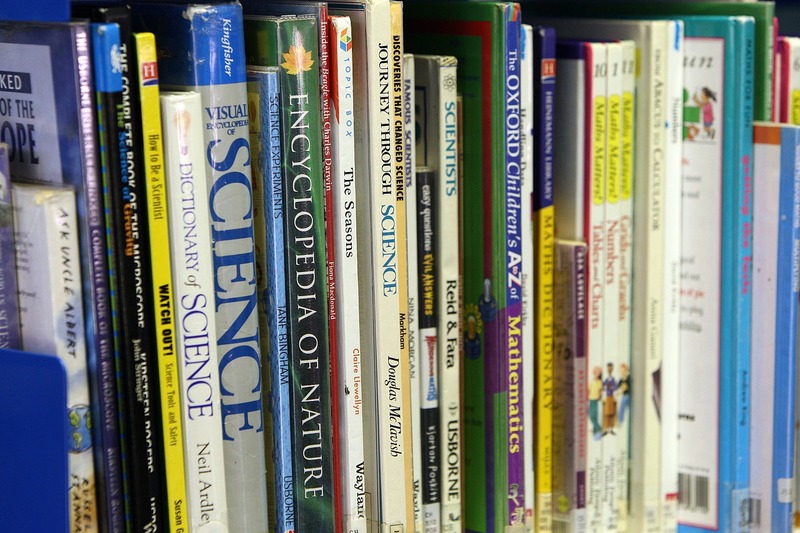 Some are extremely chemistry or biology-focussed, with the odd module in law and other sciences included. This type of forensic science degree will perhaps be most appealing to students fantasising about a career in forensics, and that’s fine. But there are a few things to keep in mind. If you’re opting to take the forensic science degree route, be very wary that some courses are a lot more crime scene investigation based rather than science-focussed, so be sure to closely examine the modules available to you and choose a course that best suits the career you are imagining. No chemistry-based forensics lab will hire you if you haven’t taken a single chemistry module at university. A forensic scientist will typically specialise in a certain area of work, such as DNA analysis or toxicology, so you can choose a degree programme that is tailored to the specific field of work you are interested in. As for deciding which university hosts the “best degree course”, the Chartered Society of Forensic Sciences (CSoFS) offers a list of universities and degree courses that are accredited, based on certain standards outlined by the society. A forensic science degree is by no means your only option. Many people will opt for pure science degrees such as chemistry or biology (in fact some might argue that this route of study is superior to a forensics-based degree), potentially followed by postgraduate study in forensic science. This route can widen your job prospects, particularly beneficial if you decide during your undergraduate studies that you would actually like to pursue a career in another field of science, which many forensic science students actually end up doing. If you’re interested in computer forensics, then obviously this will involve an entirely different route of study. Again, I won’t cover this here because we’ll be here all day. How do You Get This Pesky Lab Experience? A commonly-encountered problem in the job-hunting field, and this stands true across all fields of science and beyond, is the requirement of work experience. A lot of postings for job vacancies list prior laboratory experience as desirable if not essential for the role. Though you may have a certain amount of lab experience from your university studies, how do you expand on this and gain further experience that will set you apart from the other applicants? There are plenty of options available here. Essentially you want to be contacting potential employers who would be willing to take you on as a short-term work experience candidate (unfortunately typically unpaid work) or, if you can, find paid part-time or temporary work. You can get in touch with your local police force or private forensic service providers, but realise most will be unwilling to offer placements simply due to the nature of the work. And this is something I am sure you can understand – no one wants untrained, unqualified members of the public hanging around at a crime scene or near vital pieces of forensic evidence. But good news for you, this work experience does not have to have anything to do with forensic science – any laboratory work can provide you with beneficial experience, whether it be in a university, the pharmaceutical industry or even in a hospital lab. 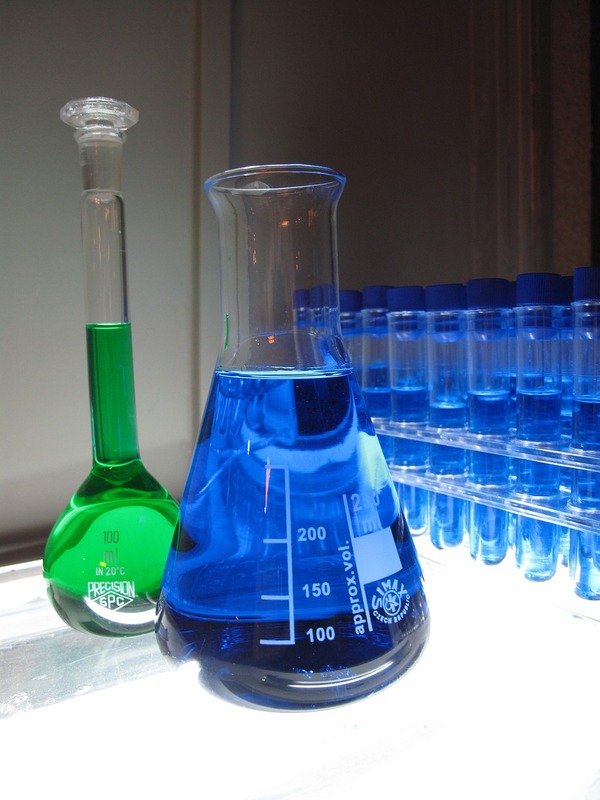 Regardless of whether the work placement is directly related to your future ideal career, there is a lot to be said for simply understanding how labs are managed, gaining vital health and safety knowledge such as following COSHH (Control of Substances Hazardous to Health) regulations and how to write a risk assessment, not to mention learning about general lab etiquette. And that’s not even mentioning the actual skills and procedural knowledge you can pick up. So don’t be mistaken in thinking work experience is useless unless it is based around forensic science, because that is certainly not true. So get contacting labs in your area and see what they have available. Now that isn’t to say all employers will insist that you have previous experience – some positions are specifically tailored to new graduates for instance and will include on-the-job training. But even if you are applying for entry-based graduate jobs, any experience you can get will only help set you apart from other applicants, especially when you know there will be quite a lot of competition. You may or may not be aware of the many professional organisations worldwide that offer membership schemes, the most obvious in this case being the Chartered Society of Forensic Sciences (UK) and the American Academy of Forensic Sciences (US). The potential benefits of becoming a member of one of these professional bodies forms a long list. Holding membership with such an organisation provides you with great links for networking and meeting potential employers, as they often host events and conferences to which members are invited. They can be great for finding out about job opportunities, for instance the aforementioned CSoFS now only permits members to view job listings. Furthermore, they help you keep up to date on the latest research, as many provide their members with publications. Are you hoping to become involve in a more specific field of work within forensics? Chances are, there is probably a professional body relating to that field of work too, such as the British Association of Forensic Anthropologists and the United Kingdom and Ireland Association of Forensic Toxicologists. The list is endless and offers so many benefits that it’s worth looking into. If you’re a student or not yet a forensic science professional, membership fees are typically not too high either. Where Are All the Jobs? So now we come to the million dollar question. How do you find a job in forensic science? Forensic science services will differ between different countries, but in short you will be looking at either private forensic service providers or individual police force labs. Many of these will advertise vacancies only on their company websites, some will use recruitment agencies (though from what I have seen, forensics jobs don’t appear on your average job-hunting site too often), or via professional membership bodies as previously mentioned. More recently, more and more jobs are being advertised on LinkedIn which, even if you don’t plan on using it for job-hunting, is a great website to be a part of simply for the sake of networking and showing off those skills and qualifications you’ve gained. Some employers have confessed to checking out an applicant’s LinkedIn profile during the shortlisting process. But ultimately, finding and securing a job in forensic science, as in any field of work, requires a lot of persistence and patience. Keep an eye out for job vacancies on a daily basis, network as much as you can, and keep applying. Try to not become too disheartened in applying for job opportunities. Remember that every vacancy attracts dozens if not hundreds of applications, so there’s some fairly heavy competition, particularly in forensic science. Good luck, future forensic scientists!